NO SLS, SULFATES, PARABENS, PHTHALATES. No Triethanolamine, Sodium Benzoate, Benzyl Alcohol, MEA, DEA, TEA, EDTA. CRUELTY FREE, VEGAN, GLUTEN FREE, PH BALANCED. No alcohol, Dyes, Formaldehyde Donors. 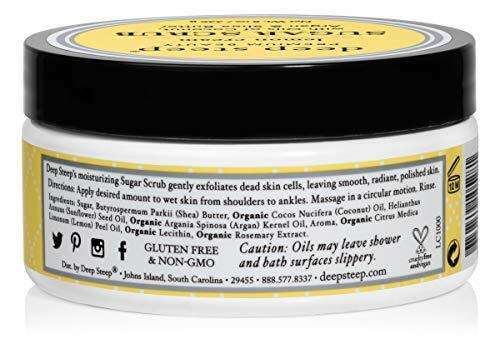 MADE WITH ORGANIC COCONUT OIL, SHEA BUTTER, ARGAN OIL, ALOE VERA. Helps to gently sooth, nourish, and remoisturize, delicate skin. NATURAL ESSENTIAL OILS OF LAVENDER, CHAMOMILE, EUCALYPTUS, GRAPEFRUIT, PEPPERMINT, ROSEMARY, LIME, ORANGE, LEMON.